Pending the final dissertation, I would like to share with the interested reader small preview of the efforts made in these years of research and exploration of the cultural and operative dimension of (technological) design in this Digital Age. 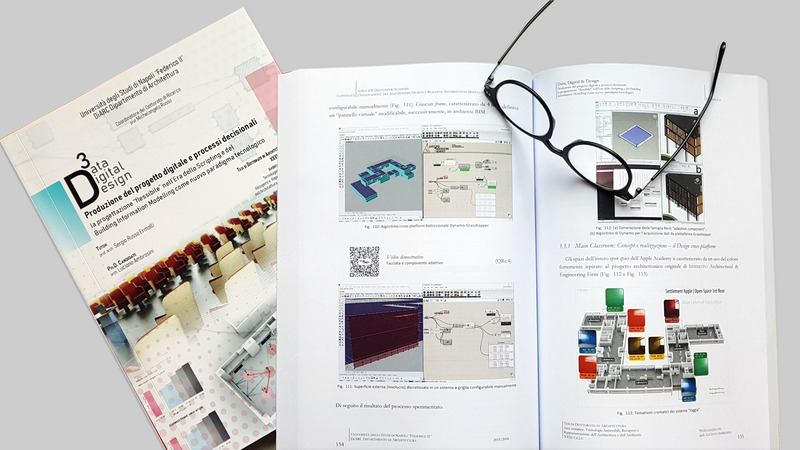 The present Research work aims to tackle in experimental and innovative terms (“flexible” approach) the technological design and the process design through the potentialities offered by the technological-informatics progress within the AEC Industry. This progress is strongly characterizing the profession of architect-designer and, more generally, the culture of technological design in the Digital Age. The experimental aspect proposed is not aimed at validating universal laws, as usually happens for scientific experiments, but rather, contributing to the renewal of methods and processes (including decision-making) related to the theoretical and practical production of the digital project. The innovative and original aspect, on the other hand, underpins the paradigm-shift concept (paradigm shift in the field of technological design) and is the result of the “symbiotic” integration of two disciplines, computer science and architectural design. The “meeting ground” between these disciplines is represented by the computational approach to design, Computational Design, and in particular to the technical and executive implementation of the theoretical assumptions formulated in the meta-design phases. The development of the research path followed in parallel the evolution and implementation of the application case related to the scientific and technological cooperation agreement stipulated between Apple International Distribution and the University of Naples “Federico II”, through the technological design consultancy provided by DiARC for the realization and optimization of the laboratory and collaborative spaces of the Apple iOS Developer Academy at the San Giovanni a Teduccio University Center, in the eastern suburbs of Naples.